THE BRITISH and Irish Lions racked up a perfunctory fourth consecutive win with a 64-0, ten try victory, against the Combined NSW-Queensland Country. As expected, and considering that the Country’s team contained nine amateurs, this was and will be the easiest fixture of the tour. In terms of intensity, it made the Western Force fixture feel like the Rugby World Cup final. 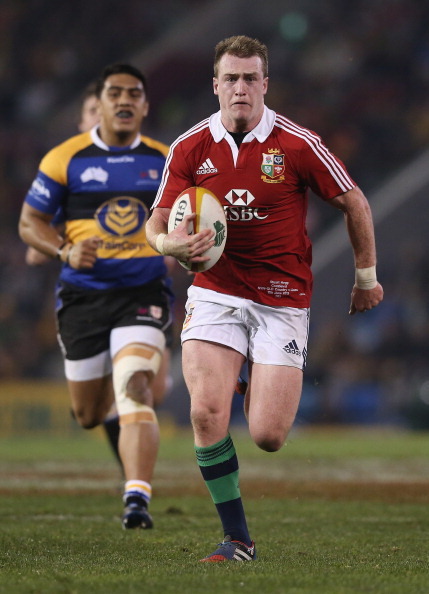 The Lions carried the ball a staggering 855 metres – that’s the best part of a kilometre. The Lions made 23 clean breaks, beat 41 defenders and once again dominated the scrum – if the Lion’s front row require consistent test level scrummaging practice before the 22nd June, they may have to look to each other. Sean Maitland ran lines from full-back that were reminiscent of his days at the Crusaders. Stuart Hogg had a very competent performance at ten and Brian O’Driscoll executed a series of accurate short passes that will almost certainly see him secure the 13 shirt for the test matches – the Lions will benefit from having a second distributor in the backline. Of course the stat that really matters from this encounter is zero – no, not the blank by the hosts, but the number of serious injuries pick-up by the Lions. The difference between the two teams with regards to body shape, fitness and skill levels was enormous – yet entirely understandable. Stuart Hogg’s pace over five metres allowed him to breakthrough through Country’s defensive line and run in a 40 metre try, unopposed. Richard Hibbard scored from a five-metre ruck without a single defending forward being within three yards – not that it would have made any difference, you’d need a weapon in your hands to stop Hibbard from that distance. The mismatches weren’t merely physical either – they were also technical. The Lions had a lineout in the 14th minute where the Country’s forwards didn’t even notice that the Lions had a lifting pod at the back of the lineout. Usually a team shouts ‘mismatch’ when they spot a player in the opposition’s defensive line that represents a potential weakness – the Lions could have justifiably shouted this in the changing room before they had taken the field. Whilst little from this match will benefit the Lion’s development on this tour, it did allow them to execute a series of offensive patterns. The opposition’s slow line speed meant that the Lions were able to complete 238 passes in 80 minutes – compare this with 111 against the elite defence of the Queensland Reds. Having an extra second before contact allowed Brian O’Driscoll to affect some accurate short passes and his wrap around passes directed at Jamie Roberts will be a valuable tool come the first test – should they be selected. Yet another hugely comfortable win on the 2013 tour presents a problem for the Lions coaching staff. Such has been the varying standard of the opposition that it is becoming increasingly difficult to judge player performances in relation to the quality of the opposition. The received wisdom of Lion’s selection is that all pre-tour form becomes irrelevant and that tour performances earn tests spots. But that is easier said than done. Most rugby supporters still hold many of the romantic ideals of the amateur game – indeed the British & Irish Lions, as a tour, still hold dear many of the amateur traditions. We all like the notion of plumbers, carpenters and teachers having the chance to fulfil their dreams against the best players in the world. However, sadly the warmth of the amateur game no longer fits with the cold reality of elite rugby. During 80 minutes, whilst admittedly playing with enormous determination, Country only managed to secure 32% of the possession and 26% of the territory. 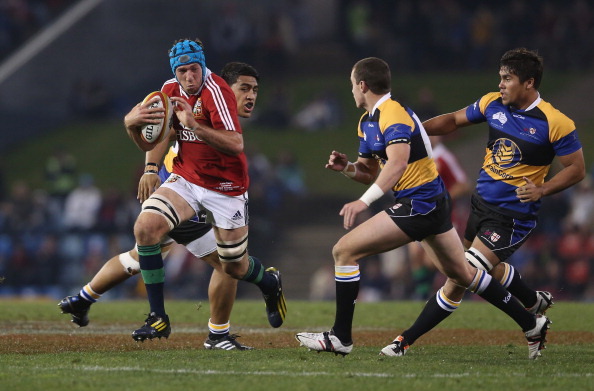 Country’s centre partnership missed five tackles each and were unable to cope with the Lions’ strike runners. 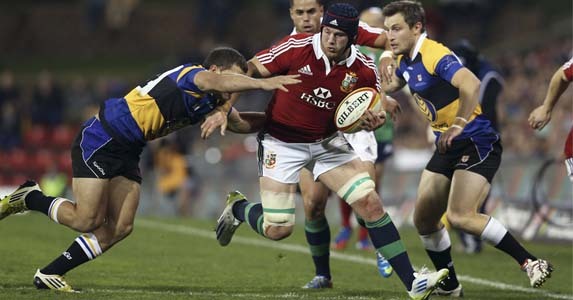 The entire Country team only managed to run 86 metres with the ball in hand – three Lion’s players achieved that distance as individuals (Alex Cuthbert, Sean Maitland and George North). We all love the amateur romance of rugby, but the truth is that brick-layers are no-longer equipped to deal with the brick ‘out’ houses of elite rugby.